2 bed 1 bath 1 car detached garage with workshop. Needs some TLC and priced to SELL AS IS. Covered Front Porch and patio .Seller will carry the loan with down payment. Dueno-A-Dueno! 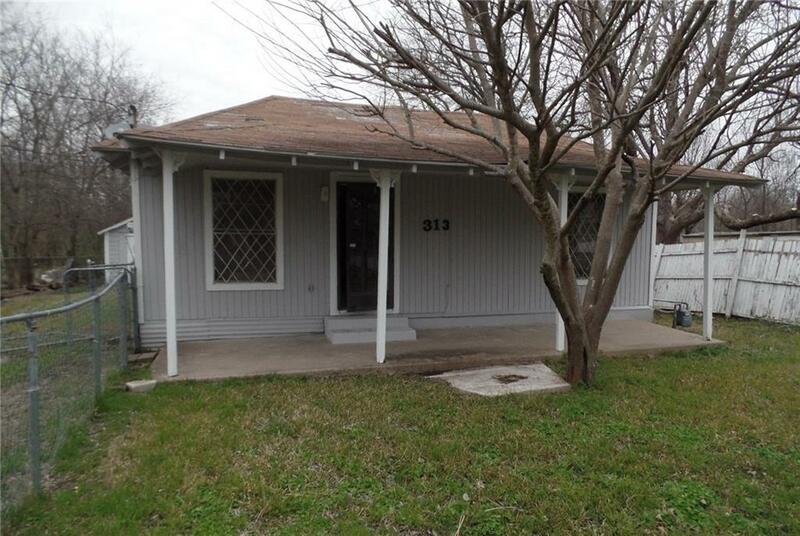 SOLD AS IS or seller will complete rehab at higher sales price * Investors are WELCOMED! **Buyer to verify all information contained herein prior to closing. TERRELL is HOT! (Sellers are licensed realtors) No sellers disclosure or survey.Members of the sellers LLC are licensed realtors. Offered by Kelly Anne Porter of Metroplex R.E.Services.